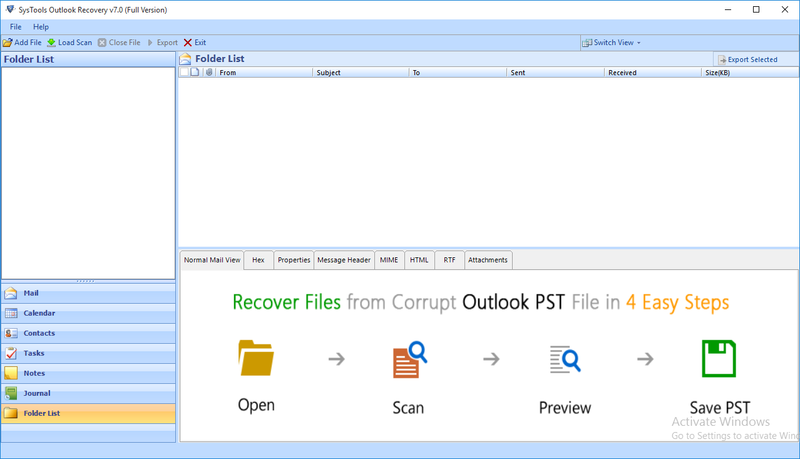 The Outlook recovery tool offers an ultimate feature to recover corrupted & permanently deleted data from PST file. 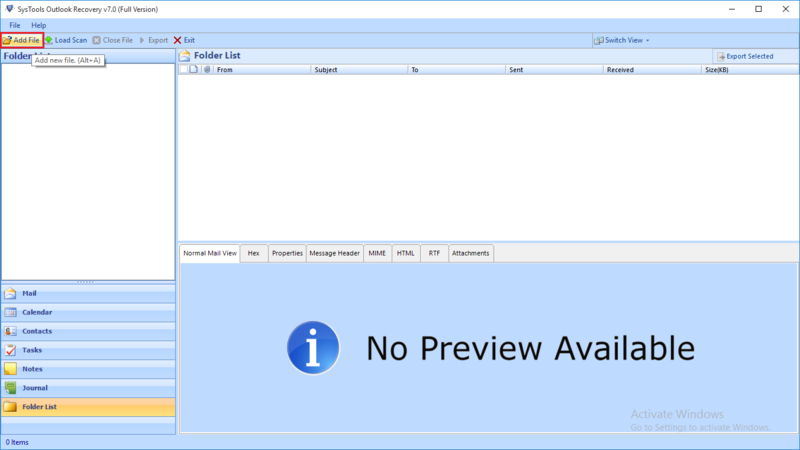 This tool is performed recovery of PST emails, contacts, calendars, tasks, journals, & other items just by enabling the Advance Mode in the tool. The software is programmed with an amazing functionality of searching several PST files from any hard drive of the PC. Once the recovery tool is finished with file searching procedure, it will repair several PST files all at once. 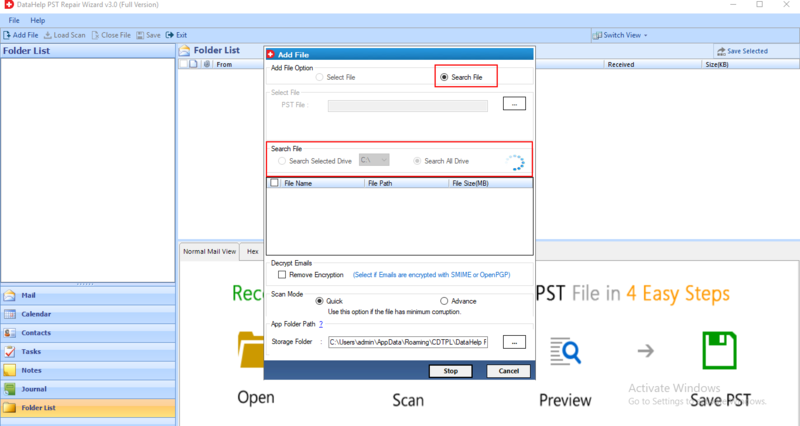 The software renders 2 options to search PST files i.e., Selected Drive and Search All. Advance Scan: Used at the time when deleted data is to be retrieved from PST file or when file is suffering from a severe level of corruption. Just after scanning the file, the Outlook recovery software instantly loads all the file data on preview pane of it. Prior to the exporting process, all the Outlook file contacts, calendars, tasks, etc., gets loaded in this product. The regained PST file emails with their respective attachments & properties are displayed in the tool. 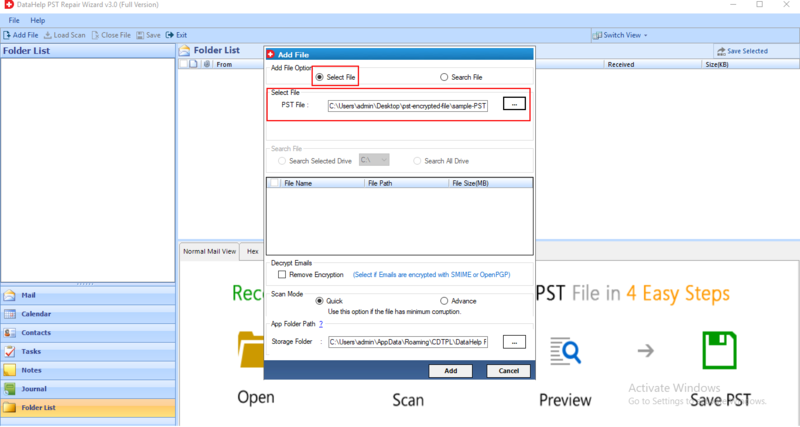 The PST file repair tool equips multiple options to archive the extracted data from PST file on local machine. It provides PST, EML, MSG, HTML file formats to save recovered data into local machine and also provides option to import PST data into Office 365 account. This software recover Outlook archive data & save in multiple formats. If a person have chosen PST as the exporting option then, he / she is benefited with an extra feature to split file. Users only need to mention the size in which resultant files are to be broken. At the time of file exporting procedure only, the software will carry out this functionality. PST file recovery program provides an option to export only selected data of recovered PST file you can check/ uncheck file. After recovery, you can export multiple selected file at a time. It also Decrypts SMIME and OpenPGP encryption from Outlook email. To decrypt S/MIME encryption it requires encryption certificate, to decrypt OpenPGP encryption it requires Key. 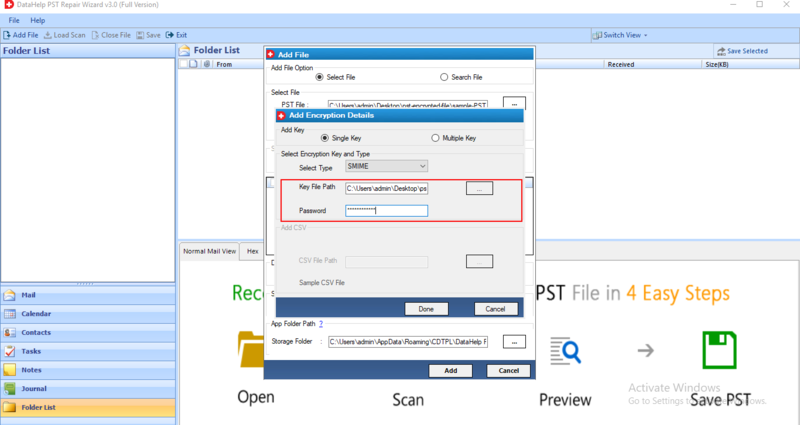 The Outlook PST data recovery enables users to archive emails from PST file into EML as well as MSG format. It is possible to change the default name of these resultant files with help of this software. 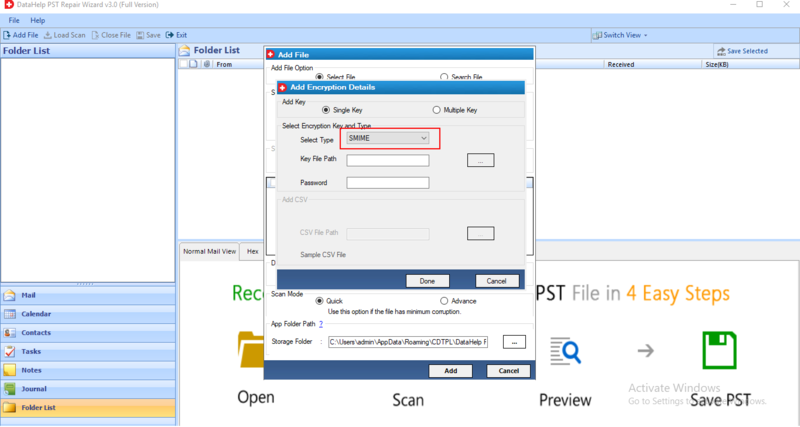 The product offers different file naming convention options to save EML / MSG in a customized way. The Demo Version of The Tool Will export 25 items from recovered data. 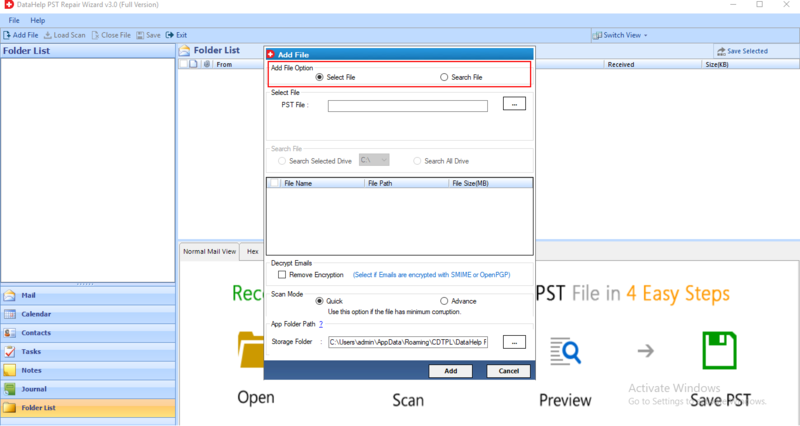 Does your software provides any option to find PST files from machine? 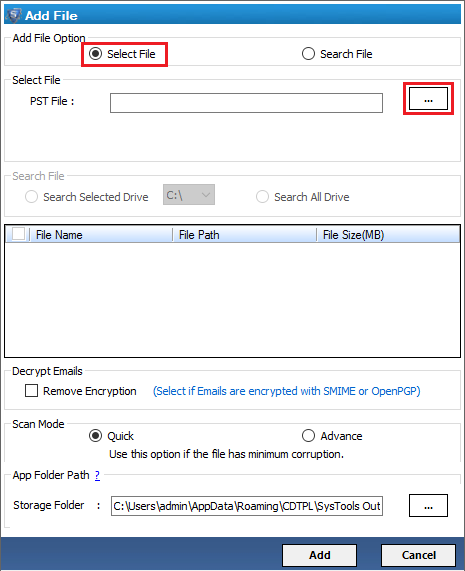 Yes, the tool is appended with a useful option of searching PST files from one or all hard drives of a local machine. You can search & recover damaged Outlook data file by using this PST repair tool. Will your product work with data file of MS Outlook 2007? Yes, our PST recovery wizard is designed in a way that it supports both types of PST file i.e., ANSI and UNICODE. The tool is independent from the fact that which application had created .pst file. 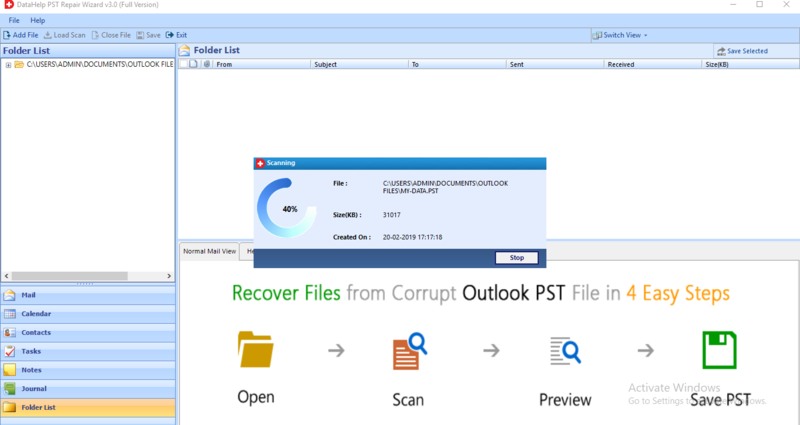 It repair corrupted PST file of Outlook 2016, 2013, 2010, 2007, 2003, 2002, 2000 versions. 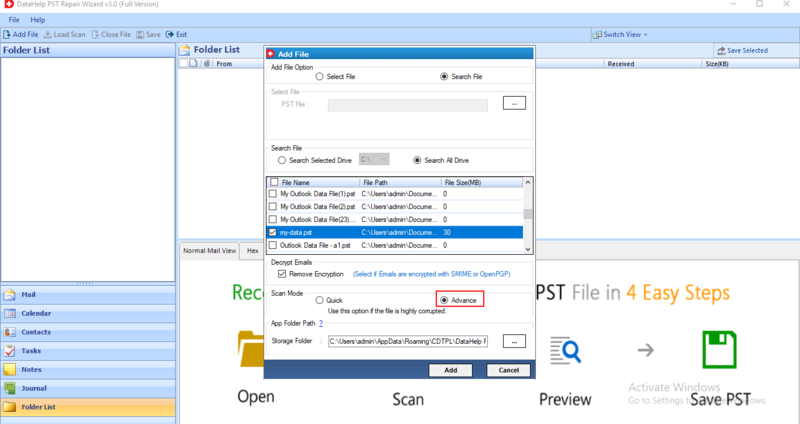 Can anyone help me out in importing resultant PST file in MS Outlook 2013? Are there any chances of getting back the permanently lost contacts from a PST file? Yes, you can utilize our product to get back deleted contacts of Outlook. The Outlook data recovery software is designed with capability of retrieve permanently lost data from PST file without any hassle. Is there any need of Outlook installation to work with your PST file repair tool? No, the software is standalone that fixes corruption of PST files in bulk without any dependency concern. No matter whether Outlook is installed on machine or not, the tool works totally in an independent way. 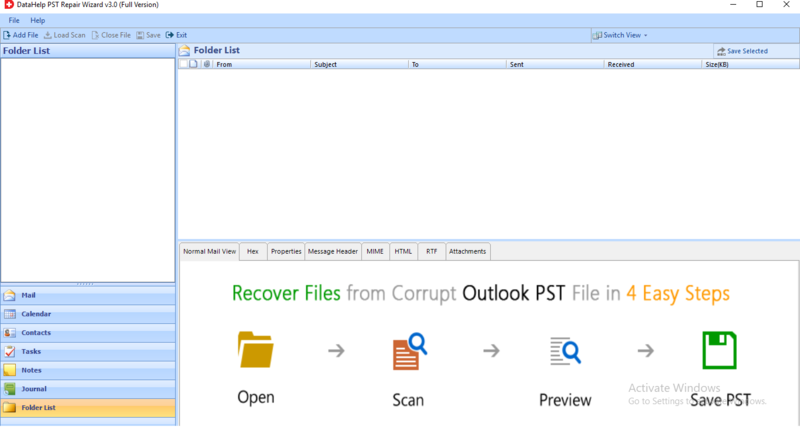 Can I recover only deleted emails from the PST file by using this tool? Yes, With the help of this software you can recover emails data from PST file this software works like Outlook PST email recovery software, moreover, with the help of this software you can retrieve deleted contacts, calendars, tasks, notes, journals from PST files. This software is capable to recover data from multiple Outlook PST files at a time? 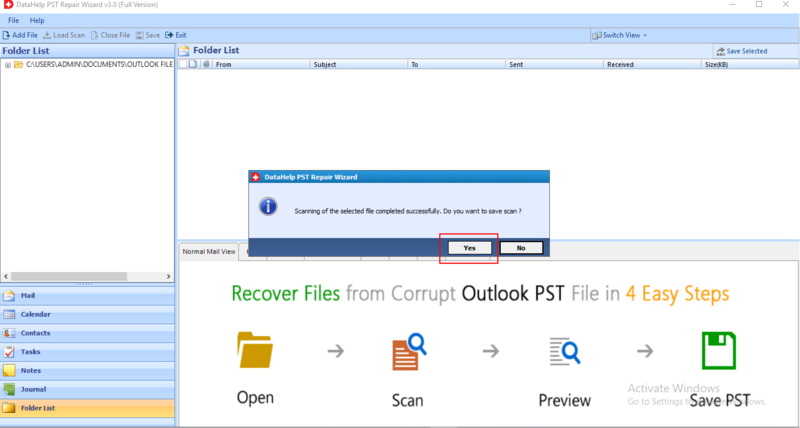 Yes, this PST file recovery tool allows you to repair corrupted PST files in batch mode, it capable to recover entire items from corrupted Outlook data file. 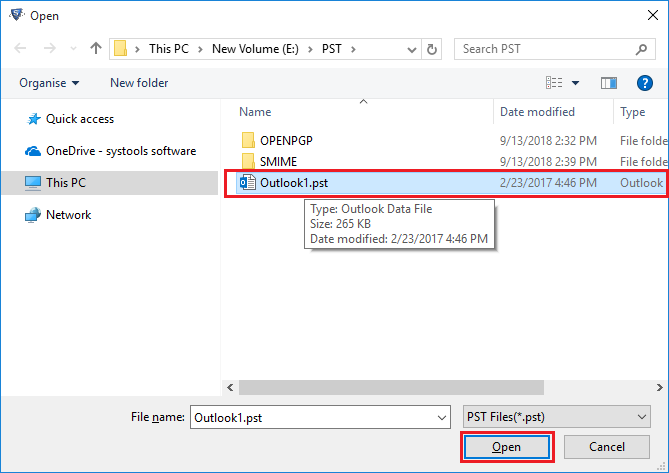 Can I recover deleted Outlook archive PST file with the help of this Outlook archive recovery tool? With the help of this PST recovery tool, you can recover hard deleted & corrupted data from PST file. The software requires PST file which you want to repair & recover. "As per my personal experience, this software amazing that deal with complex corruption and broken problems associated with Outlook database files. After buying this product, I am now totally free from the tension of sharing PST files. 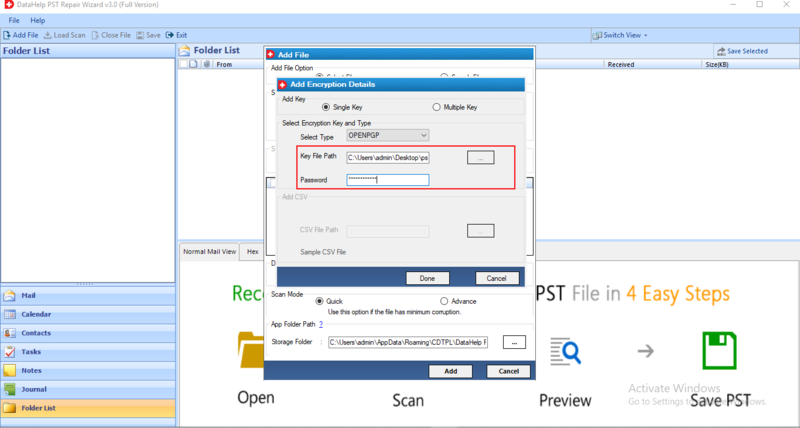 This software provides quite simple solution to repair large Outlook PST file. Literally, this software deserves the title of best Outlook PST file repair software, which does not makes any false statements and do what all it speaks." "I have to say this that PST recovery software works in an incredible manner. In real, it works the way in which it is described in the product page. I was successfully able to repair the archived PST file that was having core data within it. Salute to the software developers, who created such a brilliant application to deal with Outlook issues." "Suddenly, my Microsoft Outlook folders got disappeared that were having almost 5000+ messages within it. Without wasting a single minute, I called my Microsoft valuable professional and he suggested me to use this product. The Outlook recovery tool desperately helped me in getting back the lost email folders of Outlook and thus, acted as a life saver for me. Thank you team!" "Once again a perfect product by team of DataHelp Software for Outlook users. Seriously, you guys understand requirements of user’s. Software simplicity and ease of dealing with technical issues attracts me towards this product. Previously, I have also used your other tools and now I am using PST repair software; both are extremely amazing while working."